The culmination of Marvel Studios' first decade of movies is here, and it's so big it can't be contained in a single movie. Though next year's Untitled Avengers Movie is no longer referred to by its originally announced title of Avengers: Infinity War Part II, it will definitely have some cleaning up to do after the universe-shattering events of its predecessor. We're here to discuss some of the implications of those events in detail, so turn back now if you're not ready for spoilers. Infinity War has arrived loaded with surprises and swarming with heroes and villains. With so many of them wiped out in the movie's climax, the path forward is unclear. 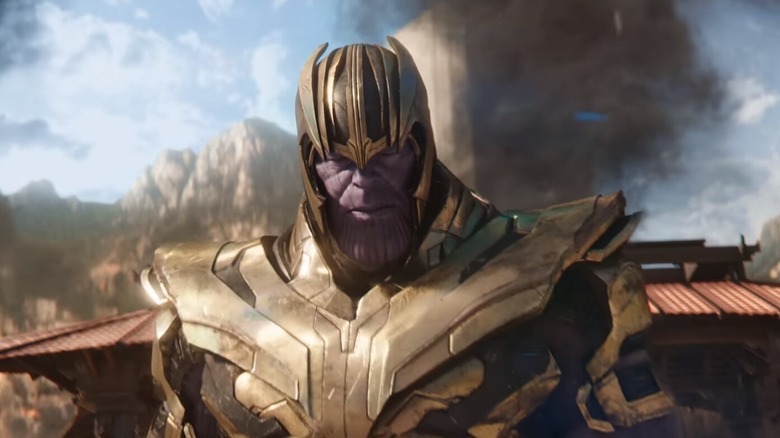 We know that at least some of the characters decimated by Thanos' fateful finger snap won't be dead forever…after all, they have more sequels in development. So where do Earth's Mightiest Heroes go from here? There may be clues right in front of us. To shed some light on the Marvel Cinematic Universe's grand design, let's take a look at some Avengers: Infinity War characters with more meaning than you might have realized. After a tumultuous courtship and a brief separation during the events of Captain America: Civil War, Tony Stark and Pepper Potts reunited and got engaged at the end of Spider-Man: Homecoming. Early in Infinity War, the couple is discussing their impending nuptials when Tony reveals that he had a dream in which they were expecting a child. He proposes that they name their hypothetical future offspring Morgan, after a "crazy uncle." This conversation, and Pepper's bewilderment, are interrupted by the surprising arrival of Doctor Strange. Pepper may not, in fact, be pregnant yet, but Morgan Stark is already very real. In classic Iron Man comics, this is indeed the name of a noteworthy relative, though neither a son nor an uncle. Morgan is Tony's cousin, frequently driven to antagonize the man who has seemingly reaped many more benefits from their family name. His more noteworthy schemes include using a device known as the Visio-Projector to mess with his cousin's mind and briefly becoming the android Ultimo. When last we saw Steve Rogers at the end of Civil War, he was living on the run as a fugitive from the government, breaking some of his allies out of the Raft prison and committing to his "faith in individuals" above institutions. His reappearance in Infinity War finds him sporting a beard (one that Thor quips he "stole") and a suit that's missing its emblematic white star. He's also still missing his iconic shield, having dropped it dramatically after his fight with Stark. 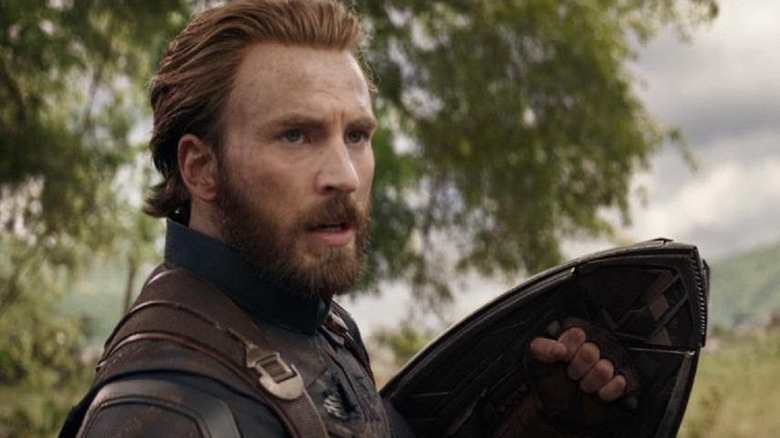 Rogers is referred to as "Captain" just once in Infinity War (by Vision, who hasn't seen him in a while), otherwise going only by his real name. Though he makes no grand proclamations regarding his identity, it's pretty clear that he no longer thinks of himself as Captain America. As directors Joe and Anthony Russo confirmed on ESPN's Fantasy Focus Football podcast, there are parallels to Steve's state of mind in Infinity War and the period in the post-Watergate comics of the 1970s in which he took on the mantle of Nomad. "I wouldn't say that he is exactly Nomad," Joe Russo explained, "but he is the spirit of that character." 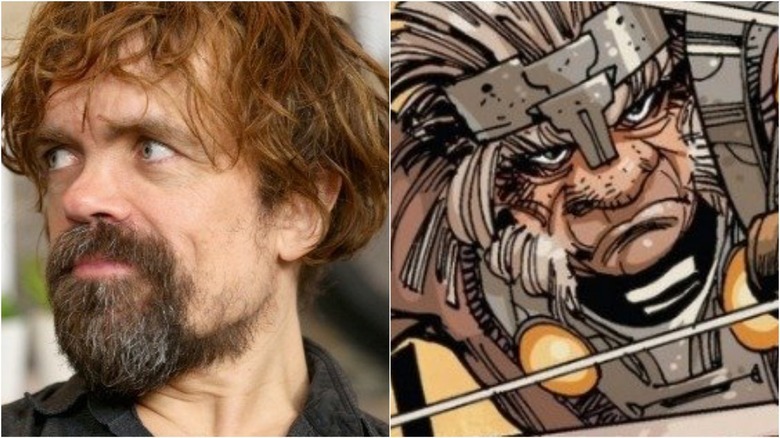 There was much speculation among fans regarding the role that would be played by Peter Dinklage, which remained under wraps prior to Infinity War's release. Most people didn't even realize that the Game of Thrones star would be joining the massive Marvel cast until his name appeared on the theatrical poster late in the publicity campaign. As it turns out, he plays Eitri, the giant dwarf of Nidavellir who forges mystical weapons for warriors across the Nine Realms. He's the artisan responsible for Thor's beloved hammer Mjolnir. Of course, Mjolnir was lost during the events of Thor: Ragnarok, and the God of Thunder needs a new sidearm for the fight against the power of the Infinity Gauntlet. He knows exactly where to turn. Though this is Eitri's first onscreen appearance, he was originally introduced to the Marvel Cinematic Universe in the Thor: The Dark World Prelude comic, in which the heroes of Asgard save Nidavellir from rock trolls. With Thor's help, Eitri forges the mighty axe known as Stormbreaker. This weapon has an iconic comics history all its own, famous as the armament of choice for Beta Ray Bill, one of the few creatures in the universe deemed worthy of wielding Mjolnir. Bill's only appearance in the MCU to date has been in the form of a giant stone head in Ragnarok. One of the most surprising twists Infinity War had in store for fans was the strange return of one of the Marvel Cinematic Universe's earliest villains: Johann Schmidt, better known as the Red Skull. Captain America's nemesis was last seen getting blasted into some far-off dimension, seemingly as punishment for his hubris upon his attempted seizing of the Tesseract. 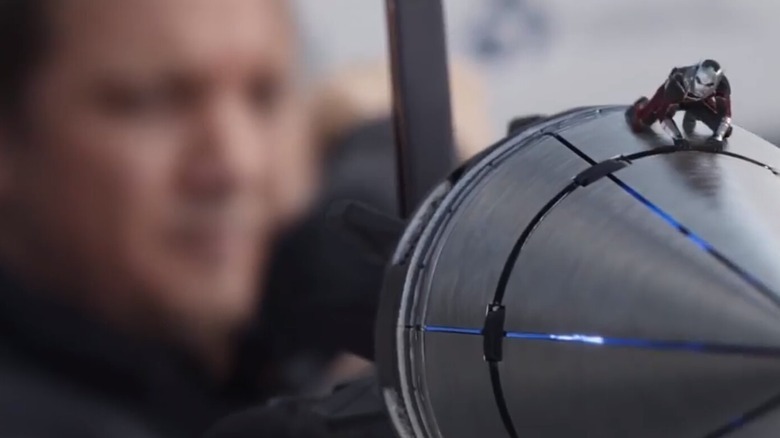 Of course, we now know that the Tesseract was housing the blue Space Stone all along. What we didn't know was just how deep the connection between the Skull and the stones would end up running. When Thanos and Gamora travel to the planet Vormir in search of the Soul Stone, Schmidt appears to them as a cloaked, wraith-like figure (perhaps in a visual nod to the importance of Lady Death in the original Infinity Gauntlet comic), briefly hinting at how his attempts to claim a stone for himself have burdened him with the duties of "Stonekeeper." It's astounding to imagine what kind of cosmic horrors this former Nazi was subjected to between his World War II disappearance and his entrance here, and audiences likely won't have time to ponder the significance of this revelation in the midst of Infinity War's action. Perhaps those untold years of torment are why he isn't quite the same man we remember. 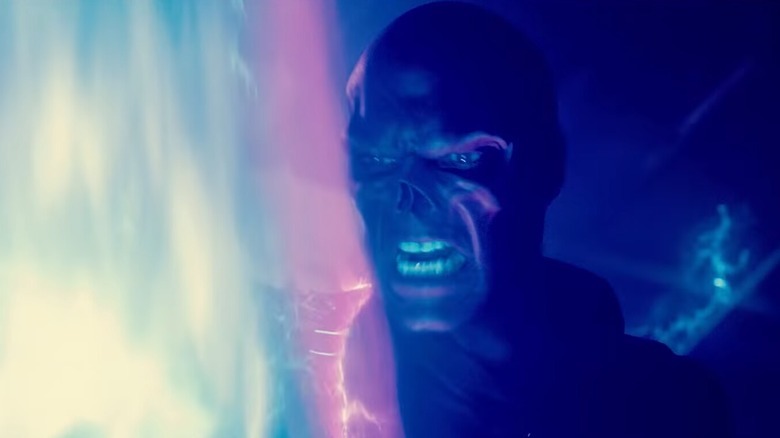 When the Red Skull greets Thanos and Gamora on Vormir, he refers to the Mad Titan as the "son of A'Lars." It's a name we've never heard in a movie before, and it doesn't come up again. Nevertheless, it's a nod to some pretty big Marvel Comics history. A'Lars was one of the Eternals, a long-lived race of powerful humanoids created by the Celestials (as you may recall, we've met a Celestial onscreen already). Alongside fellow Eternal Sui-San, A'Lars (sometimes known as Mentor) populated the moon Titan via genetic engineering and cloning. Among their offspring was Thanos, who was discovered to be inflicted with a genetic abnormality called Deviant Syndrome. As Thanos' lust for power grew and took the form of conquering and genocide, A'Lars lived in constant shame at what his son had become. He frequently tried to stop Thanos, who would eventually murder both of his parents. As for what this means for the Marvel Cinematic Universe, studio co-president Kevin Feige has hinted that discussions have taken place regarding a place for the Eternals on the big screen. When Thanos first made his presence known to Earth (and, in fact, to movie audiences), he was still shrouded in mystery, pulling the strings from afar. The instruments of his wrath were the Chitauri, an army of alien drones that attempted to invade New York City in search of the Tesseract with the help of Loki. It was only later, as the cosmic side of the Marvel Cinematic Universe began to unfold, that the significance of this first grasp at the Infinity Stones would become clear. Though their presence has lingered over the films in the form of Tony Stark's haunting visions and the technology central to the plot of Spider-Man: Homecoming, the Chitauri haven't gotten much onscreen action since the original Avengers. 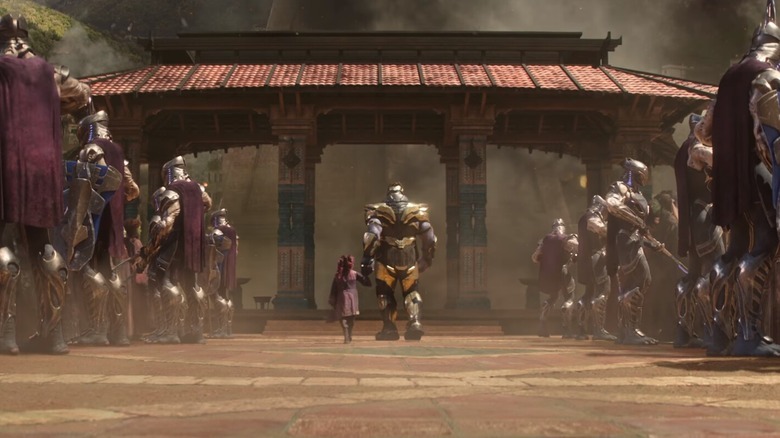 In Infinity War, however, we seem them in full swing again, in the flashback to Thanos' "rescue" of the young Gamora. While the Mad Titan claims the child as his adopted daughter, his Chitauri summarily execute the rest of her people. The scene is a chilling look at what would have awaited the people of Earth if the Avengers' first team-up had been a failure. Though they now find themselves at the helm of perhaps the biggest blockbuster motion picture event of all time, Joe and Anthony Russo have a long history in television comedy. One of their biggest pre-Marvel successes was the original run of Arrested Development. Between the two of them, the brothers directed 14 episodes of the show, including the original pilot. As a nod to their past, the Russos placed the iconic Bluth Company stair car discreetly in the background of Captain America: Civil War's airport fight scene. For Infinity War, they promised to continue the fun, hinting that sharp-eyed Bluth fans would again be rewarded. 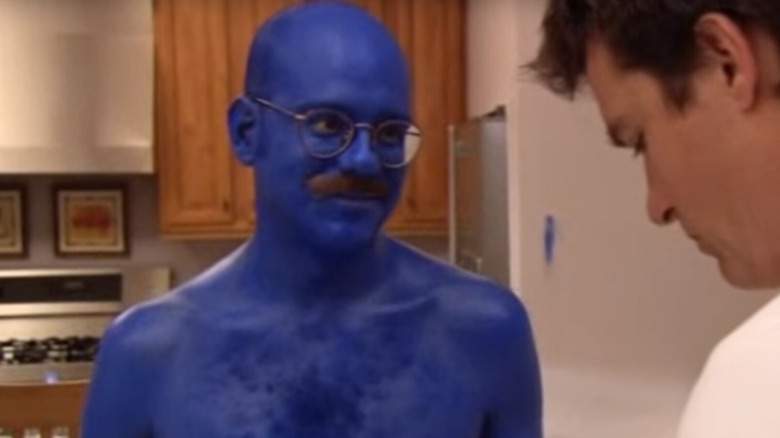 The Easter egg in question pops up in the Collector's storeroom on Knowhere, where the mustachioed, blue-painted, cutoffs-wearing figure of Tobias Fünke can be spotted as an exhibit on display. He's not on screen for long, and isn't portrayed by David Cross, but it's significant enough that 20th Century Fox is acknowledged in Infinity War's credits for the character's likeness rights. So what does this mean for fate of Dr. Fünke? Hard to say, but he certainly seems to be off to a New Start. Infinity War may have left us with a lot of unanswered questions and unresolved angst, but Marvel's still got two movies coming down the pipe before the epic event continues in 2019's fourth Avengers film. One of them is this summer's Ant-Man and the Wasp, and the other will introduce a long-awaited arrival to the MCU: Captain Marvel. 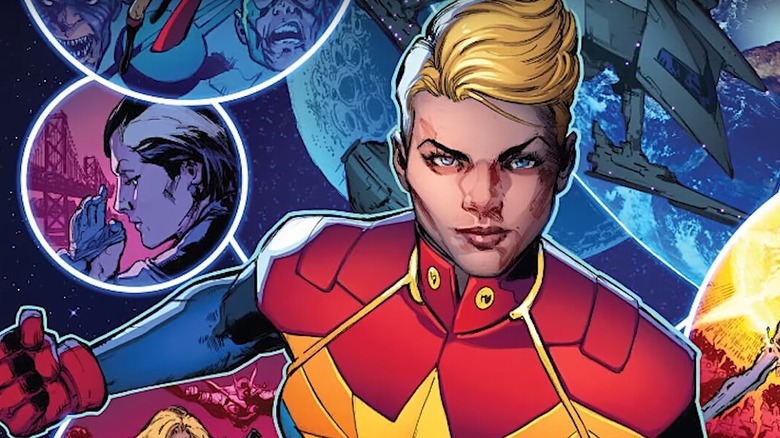 Brie Larson will portray Carol Danvers, the Air Force pilot who becomes a superhero after getting embroiled in the intergalactic Kree-Skrull War. With the knowledge that Carol's solo film debut was already in production and the fact that she'd be a helpful character to have around for a cosmic conflict, speculation ran rampant that Larson might make a cameo in Infinity War. Turns out, she doesn't…at least, not physically. The movie's post-credits scene finds Nick Fury sending a distress signal via some sort of beeper just before he turns to ash like so many other beloved characters. The last thing we see is the device's screen lighting up with Captain Marvel's insignia, hinting at a major role in undoing the damage Thanos has inflicted. While Infinity War features very nearly every single superhero to grace the silver screen during the Marvel Cinematic Universe's decade of existence, there were still two notable absences. When the film's ad campaign showed off seemingly everyone but Hawkeye and Ant-Man, fans started speculating wildly about the whereabouts of the often put-upon Clint Barton and Scott Lang. Jeremy Renner and Paul Rudd remained on Infinity War's circulating cast list, and the Russo brothers even promised that Hawkeye had "a special spot" in the movie. Well, opening night has come and gone, and it turns out that neither character makes an appearance. 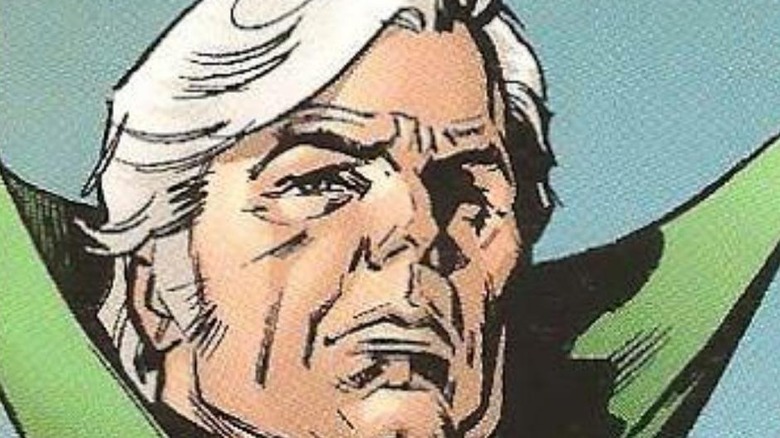 Reference is briefly made to Barton and Lang both being under house arrest after the events of Civil War, a deal they made in order to remain close to their families. Their absence is sure to foreshadow a significant return. With Ant-Man and the Wasp hitting theaters this summer and Renner definitely shooting scenes for Avengers 4, it seems we won't have to wait too much longer to learn their whereabouts. For now, how much they've lost and how they're dealing with the fallout of Infinity War's calamities remains one of the movie's biggest unanswered questions. Just because he's one of the main characters in the movie doesn't mean there isn't still more than meets the eye. 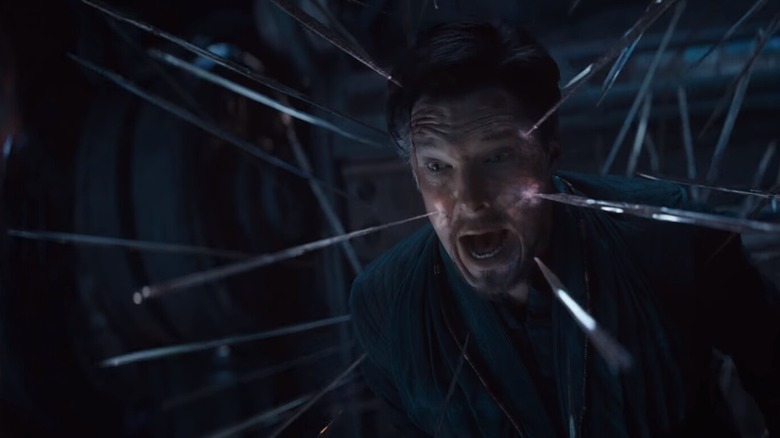 Stephen Strange has a lot to do in Infinity War, as his particular brand of time and space manipulation is just what the more earthbound Avengers need in order to have even the slightest chance against Thanos and the assembled Infinity Stones. His scenes are peppered with hints straight from the comics as to his ever-increasing range of powers, from the Cauldron of the Cosmos to the Crimson Bands of Cyttorak. But it's in the climactic clash with Thanos that the true extent of Strange's knowledge and foresight starts coming into focus. Just before the Mad Titan arrives, the good Doctor peers into millions of possible outcomes and sees only one that finds our heroes victorious. He later convinces Thanos to spare Tony Stark's life in exchange for the Time Stone, explaining that this is "the only way," just before he turns to dust. Clearly, Strange sees something we don't yet about how this could all be made better, even if he knows it has to get a whole lot worse first. In the first Guardians of the Galaxy, Peter Quill speaks reverently of Kevin Bacon, referring to the plot of Footloose as an inspirational Earth legend. 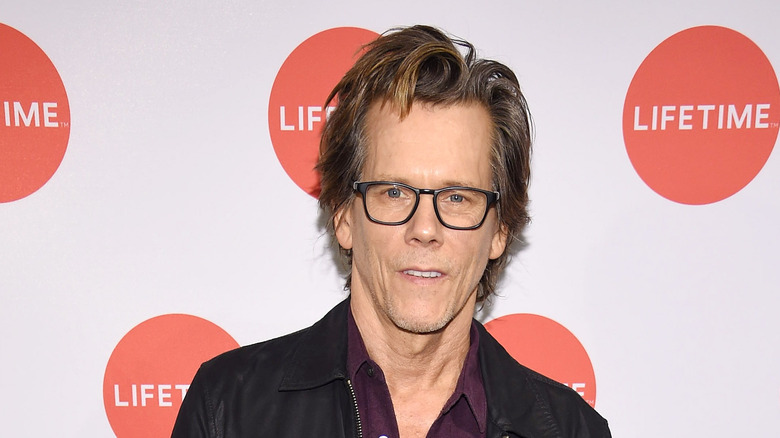 It's a gag that pays off nicely later in the movie, when Gamora refers to Quill as "just like Kevin Bacon." The actor, who had previously worked with Guardians director James Gunn on Super, was thrilled by the nod. This running bit rears its head again in Infinity War, when Star-Lord meets Spider-Man, who loves a good pop culture reference maybe even more than he does. The budding connection between the two fizzles, though, when they disagree sharply about the relative merits of Footloose as a piece of cinema. At this point, Quill's devotion to Bacon has grown beyond a cute in-joke, morphing into an increasingly significant piece of lore. As the half-man/half-celestial rises to prominence in the galaxy, who knows what other pieces of '80s pop culture he's preaching to the cosmos?